As we all know listening is the most important aspect of learning any language. It’s a dire need to enhance and have command over the English language, which starts from the foundation level of academics. You can listen not only the dialogues or passages on books, but also the sounds of laugh, cry, animal, nature, etc. Children and teenagers enjoy reading them very much. 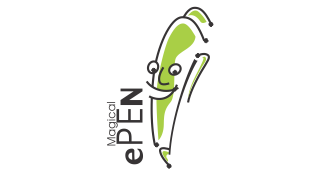 - ePen is a good idea to enhance your child's interest and help him/her learn to read at the same time. - The sound effects will definitely keep your child awed and full of wonder. - The bright attractive colours will encourage children to read. One of the most important skills parents can impart to their children is the reading habit.